A new law on contempt of court gives more leeway to order a publisher to take down an article. It also reduces the threshold in scandalising contempt. Despite critics' misgivings, the changes need not stifle responsible debate. Parliament on Monday approved a law on contempt of court. But throughout the seven-hour debate, Law Minister K. Shanmugam kept pointing out that, in fact, little had changed with the new law. Yet many MPs expressed reservations about parts of the new law. The nine Workers' Party MPs all voted against it. So what, if anything, has changed with the passing of the Administration of Justice (Protection) Bill? First, the Bill puts into written law contempt of court offences that used to come under case law. Until now, the law of contempt in Singapore was based on case law, that is, laws that are not passed by elected legislators and enacted into statute but instead based on judgments made in a body of court cases over the years. In 2010, then Chief Justice Chan Sek Keong said he had asked the Law Minister to consider enacting a law on contempt, adding that laymen, and even lawyers, have to read the case law to find out what the law is. He noted that even though "the courts have exercised great restraint in the past", punishment for contempt is unlimited, unlike other criminal offences which come with prescribed punishments. Putting the law in statutory form will allow potential offenders to know what they can be in for, he said. Now, the prescribed maximum punishment is a $100,000 fine and three years' jail. Contempt of court falls into four categories. First, the straightforward situation of someone disrupting court proceedings or intimidating judges, lawyers or witnesses. The second is disobeying court judgments. Hence one prong of the Bill makes it clear that going against court orders is a criminal offence. For example, a man who doesn't pay his ex-wife maintenance as ordered, or a woman who refuses her ex-husband access to see their children. The third part of contempt is scandalising the judiciary. The fourth is sub judice, which is publishing anything that prejudges court proceedings. When it comes to the offence of "scandalising the judiciary", the bar has been lowered from that of a real risk to a risk of scandalising the judiciary. Examples of scandalising contempt include alleging bias or impropriety against the courts or individual judges. 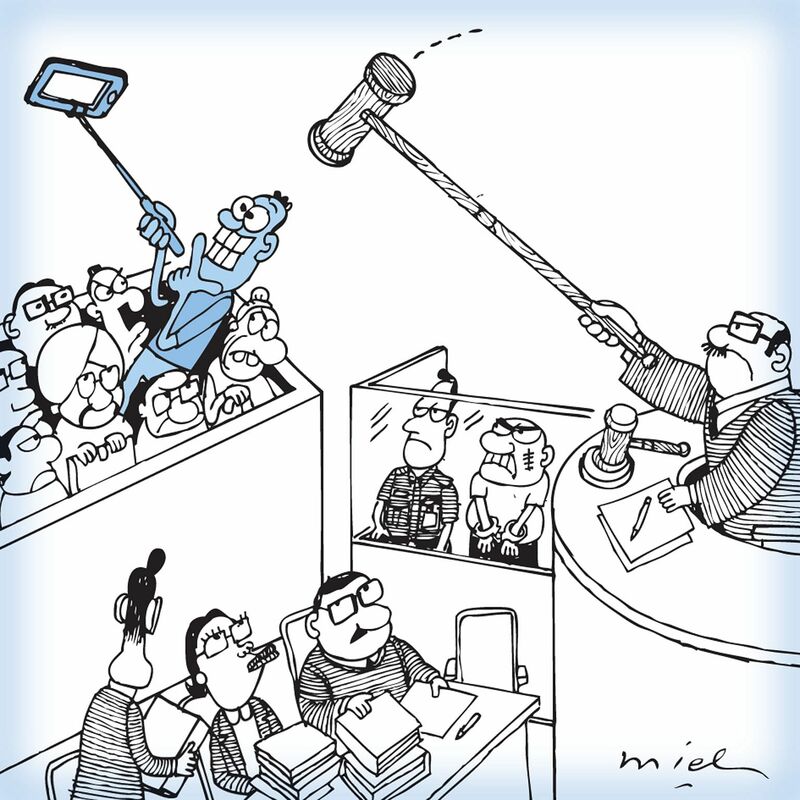 Several people have fallen foul of contempt laws in this category for impugning the integrity and reputation of the Singapore judiciary, including opposition politician Chee Soon Juan, American academic Christopher Lingle, British author Alan Shadrake and sociopolitical blogger Alex Au . In Shadrake's case, Justice Quentin Loh ruled in 2010 that for a statement to be in contempt, it had to have a "real risk" of scandalising the judiciary. This was affirmed by the Court of Appeal. In other words, a statement must carry a real likelihood of undermining public confidence in the justice system. The Bill modifies the test for scandalising the judiciary from one of "real risk" to one of just "risk". In response to WP MP Sylvia Lim, Mr Shanmugam explained that while judges develop common law based strictly on legal precedents, the Government looked at the larger implications of the law on the country, including the need to protect the judiciary as an institution, given Singapore's reputation as a jurisdiction known for independence and impartiality. Protecting the integrity of the judiciary has to be weighed against the need for a small group of people to allege - without basis - that the courts are biased or corrupt. Parliament is well placed to do so, he said, defending the lower threshold of risk. Will this chill public debate, as critics fear? To be sure, it raises the bar for anyone who wants to accuse the courts of bias or misconduct. The person will have to be very sure of his or her facts and evidence to make such a charge, and be prepared to be held responsible and accountable for those views. This doesn't mean that no one can criticise or report a bad judge. A person who, in good faith, reports a corrupt judge to the chief justice, the police or any other authority will not be in contempt. Litigants who make statements about a judge in court filings when lodging an appeal or applying to disqualify the judge from hearing a case will also not be in contempt. Fair criticism also does not amount to scandalising contempt under the new law. So this law should not dampen legitimate debate and responsible discussion of the law, court judgments or public interest issues. It should, if it works well, weed out the kind of casual attack on character so common on social media these days, and remove the judiciary - a key national institution - from being the target of such mud-slinging. The fourth category of contempt law is called sub judice (Latin for "under judicial consideration"). It deals with statements or information published about a case yet to be decided by the court. The premise is that an accused person should be given a fair trial based only on the evidence that is before the court, and not go through a "trial by media". The Bill makes it an offence for anyone to publish any matter that prejudges an issue, or otherwise prejudices or interferes with the course of any pending court proceedings. But here, the threshold remains that of a "real risk" , not just "risk". The classic scenario of sub judice contempt is the publication of an accused person's past convictions while he is on trial. Sub judice contempt cases occur periodically in some other jurisdictions. In one case in Britain in 2012, the Daily Mail and Daily Mirror tabloid newspapers were each fined £10,000 for their "avalanche" of adverse publicity following a murder conviction while the verdict was pending on a separate abduction charge. In Australia, media personality Derryn Hinch has had multiple run-ins for contempt, his first being 12 days in jail and a A$15,000 fine after he revealed the prior convictions of a Catholic priest while a trial was still pending. On Monday, Mr Shanmugam highlighted the Amanda Knox case as an example of a justice system Singapore does not want. Ms Knox, now 29, was an American accused of murdering her 22-year-old British roommate in 2007 while staying in Italy. She was found guilty initially before being acquitted after spending four years in jail. Italian media had portrayed her in a very negative light. "Some newspapers labelled her a 'killer' or 'psycho-killer' before the courts had finally determined the matter," said Mr Shanmugam. He said it would be natural for a reader of these articles to conclude that the suspect was guilty even before investigations had been completed, adding: "Ask yourselves, was this fair?" He said that Italy's highest court found that the media attention caused "the investigations to suffer a sudden acceleration, which in the frantic search for one or more culprits to be delivered to international public opinion certainly did not facilitate seeking the substantial truth". In Singapore, there is no reported case of an attorney-general launching a prosecution for sub judice contempt. In June 2013, the Attorney-General issued a warning to independent film-maker Lynn Lee over video interviews she conducted with two former SMRT bus drivers from China investigated for their roles in Singapore's first strike in 26 years. The pair alleged that police officers had assaulted them to extract confessions. The Attorney-General's Chambers (AGC) said Ms Lee's conduct created a real risk that the the trial judge would be improperly influenced and that witnesses and co-accused persons would be influenced in their testimonies. 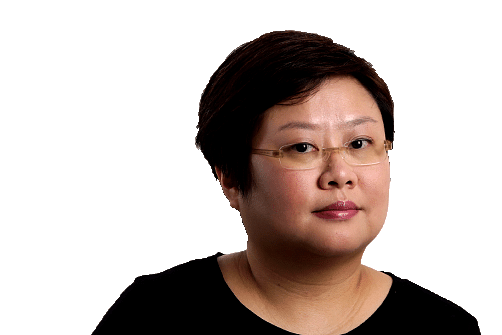 A spokesman for the AGC said that its "records do not suggest any prosecutions for sub judice contempt in recent times", only the warning to Ms Lee. The AGC has, however, released media statements asking the public to refrain from making contemptuous statements, following online discussions over the case of three men charged with offences allegedly committed during a Thaipusam procession. Exactly when investigative reporting or comment crosses into sub judice remains to be tested. For now, as lawyer Amolat Singh points out, the lack of prosecutions shows two things: that the Singapore media has, by and large, been responsible in reporting court trials, and that the AGC is not "trigger happy" in throwing the book at those who run foul of sub judice contempt. With contempt laws shaped in the age before social media turned every citizen into a publisher, Singapore has decided to update its own laws to deal with the speed with which contemptuous information can spread virally within minutes. Thus, one major change under the new law is that it allows the Attorney-General to ask the court for permission to direct the takedown of an article in ex parte proceedings, that is, in the absence of the publisher. This applies to articles deemed to have breached both scandalising or sub judicecontempt. Previously, the AG did not have explicit powers to do so. Mr Shanmugam explained that this is a practical way to balance the defendant's right to be heard and the possible irreparable damage caused by a publication rapidly circulating unchecked. The order means that the defendant is compelled to take down an offending article, but he has the right to challenge the order and put the article back if he persuades the court it is not harmful. "If he succeeds, he puts it back up. So what's the loss?" asked Mr Shanmugam. "So you got to look at it like that. Whereas if you don't allow the quick remedy, interim relief, that article could be there for weeks, by which point in time there is no point taking it down anyway." To sum up, what has changed with the law? For most citizens, not much. People can still debate the innocence or guilt of an accused person in an ongoing trial at coffeeshops - unless they are trying to influence a potential witness or making claims on facts not before the court. After the verdict is passed, people are free to criticise the merit of the judgment, as long as they steer clear of implying that the decision was arrived at due to improper motives. If larger social issues surface in an ongoing court case, people do not have to curb discussions of any government policy. Just don't prejudice the actual trial. What has changed is that contempt has become codified law, and penalties are spelt out. As for public discussion - to paraphrase a popular meme, keep calm and carry on commenting responsibly.